Peter is a partner at Brann & Isaacson. He provides advice and counsel on labor and employment law and education law. Peter serves as lead labor counsel for some of the premier employers in Maine, including L.L. Bean, Inc. 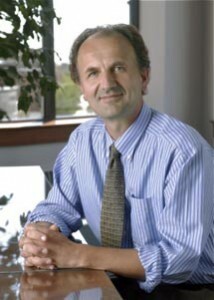 In this role, he advises clients on personnel practices and employee relations matters, including discrimination and harassment issues, layoffs and plant closures, union grievances and collective bargaining, disability and religious accommodation issues, conducting and supervising internal investigations, coordinating state and federal leave laws, and negotiating and drafting employment contracts and separation agreements. Peter also represents public school districts and municipalities throughout Maine. He has been selected by his peers for inclusion in The Best Lawyers in America® (2013) (Employment Law-Management). Peter presents each year at the Maine Human Resources Conference (2002 to present); the Annual Employment Law Update for Central Maine Human Resources Association (2004 to present); the Maine School Management Conference (1996 to present); the Maine Education Law Conference (2007 to present); and the L.L. Bean Human Resources Law Training (1999 to present). In 2009, Peter was selected to edit the Maine Employment Law Letter, a monthly newsletter published by M. Lee Smith Publishers LLC.